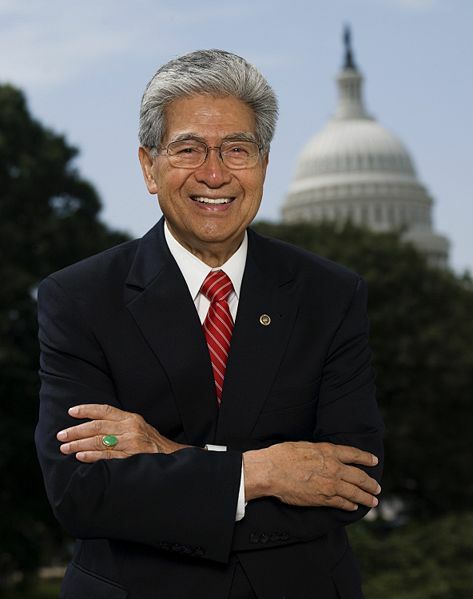 Retired Hawai‘i Senator Daniel Akaka will be the grand marshal of this year’s King Kamehameha Day Celebration Parade, taking place Saturday, June 15 beginning at 9 a.m. in Historic Kailua Village. Accompanied by members of his Hawai‘i Island family, the senator and his wife, Millie, will be traveling down Ali‘i Drive via horse-drawn carriage. The annual floral parade will feature decorated floats, hula halau, marching bands, mounted equestrian units, and the beautiful pa‘u princesses on horseback representing the eight major islands of the Hawaiian Island chain. Leading the pa‘u units will be this year’s parade pa‘u queen, Anna Akaka, the senator’s daughter-in-law. Anna is married to the senator’s son, Danny Akaka, Jr., who serves as director of cultural affairs for Mauna Lani Resort. The parade travels down Ali‘i Drive beginning at Royal Kona Resort to the pier and up Palani Road to Kuakini Highway, ending at West Hawaii Today. A Ho‘olaulea (music and crafts festival) will take place throughout the day at Courtyard King Kamehameha’s Kona Beach Hotel, highlighted by free concert beginning at 12 noon headlined by Hawaiian recording artist Nathan Aweau. Additional performers include the Ladies of Waiku‘i. For more information, visit konaparade.org.